General Hydroponics Defguard Biofungicide / Bactericide is an OMRI-listed biofungicide and bactericide for use in organic gardening that's effective against a variety of pathogens, particularly botrytis (which causes botrytis blight, or gray mold) and powdery mildew. What's the key to ensuring fungal and bacterial pathogens don't wipe out your plants and flowers? Being proactive. The fact is, you can never totally eliminate disease-causing fungi and bacteria from your garden, residential landscape or residential greenhouse. But you can control and suppress them by taking a preventative approach and using the right combination of products. Make General Hydroponics Defguard Biofungicide / Bactericide part of your protection plan. General Hydroponics Defguard Biofungicide / Bactericide is an OMRI-listed biofungicide and bactericide for use in organic gardening that's effective against a variety of pathogens, particularly botrytis (which causes botrytis blight, or gray mold) and powdery mildew. It also controls anthracnose; bacterial leaf blights, spots and specks; black mold; black spot (on roses); brown spot; fruit rot; and leaf spots. 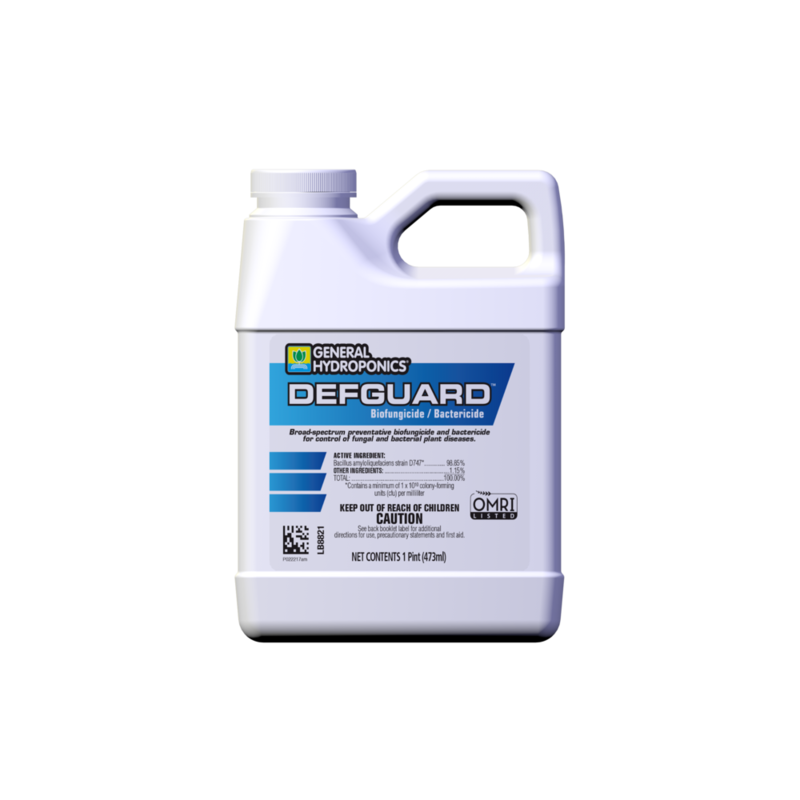 If you need a biofungicide/bactericide that prevents bacterial and fungal diseases from even establishing themselves on leaves, look no further than General Hydroponics Defguard Biofungicide / Bactericide. Find a store near you that carries Defguard.